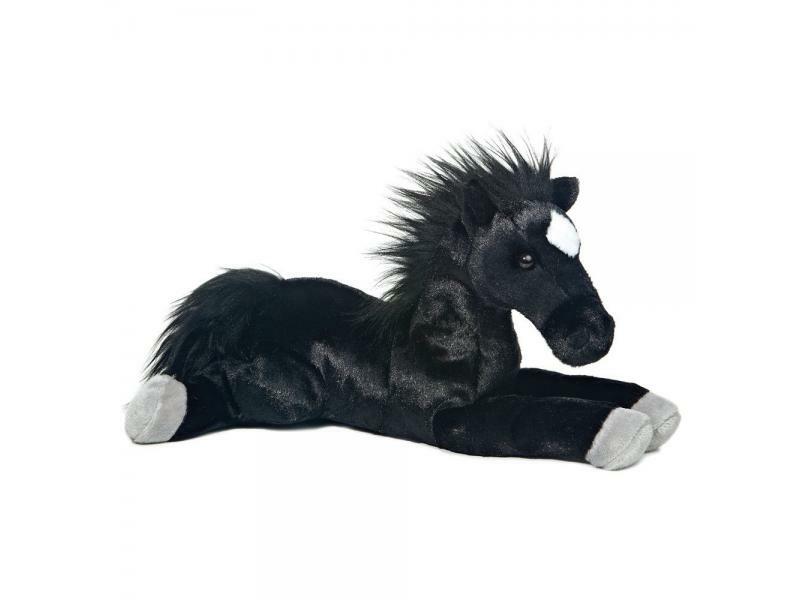 Blackjack is a very soft and huggable black plush Horse with gray feet and white between his eyes. Blackjack measures approximately 12 inches and is washable. Aurora World Flopsie plush animals are double-bagged and bean filled; and they have lock-washer eyes for safety.